Not too long ago I blogged about our stay at the Bavarian Inn Lodge in Frankenmuth, Michigan. Today I want to share some pictures from the town because it's so unusual, so welcoming, and such a great place to go to refresh and recharge. Located in Saginaw County, Frankenmuth is one of those places that is fun to visit any time of the year. There is always something going on, including a huge Bavarian Fest held in early June, hot air balloon competitions, dog olympics, The Summer Music Festival, the very popular OktoberFest, and while we were there on our last visit, the ice carvings that were placed all over the town (sculptures entered in a Frankenmuth SnowFest competition). The Covered Bridge in the Summer! A covered bridge right in the heart of town sets the tone for your visit. I saw where Chuck from Secondary Rds recently mentioned the cheese in Frankenmuth. Totally worth a mention because that is good stuff! 35 Days Until Spring? Def. a welcome sign to see! and Bronner's, the world's largest Christmas store. Inside of Bronner's you will find just about any kind of Christmas ornament or decoration you could hope to come across. and even school (university) affiliations...not to mention different hobbies, interests, careers, animals, events, and 'just because' ornaments too. The architecture is Franconian in style, and the town is often referred to as Little Bavaria. There are a handful of restaurants (all delicious! ), including the infamous Zehnders and Bavarian Inn that both serve authentic German food, complete with the wait staff being dressed in traditional Bavarian attire. 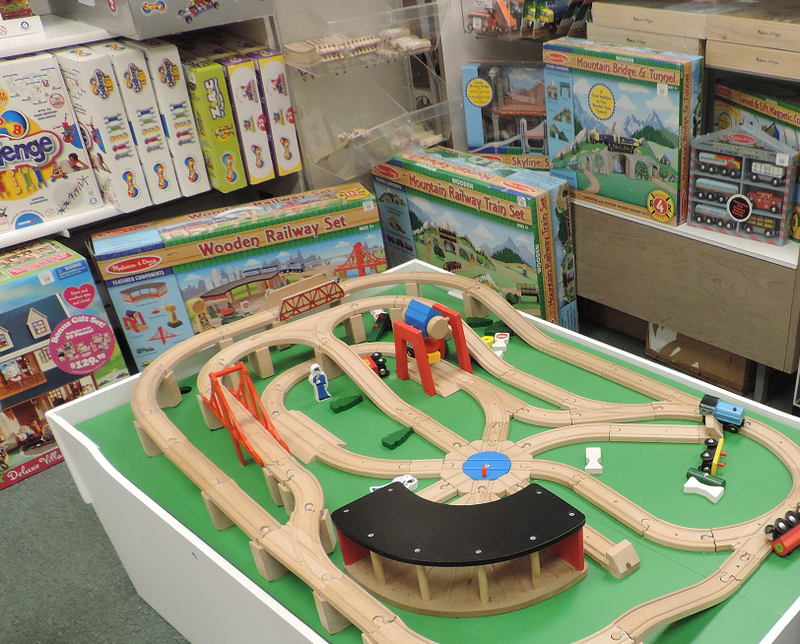 Frankenmuth has a lot of great/fun gift and/or specialty shops! Fully where we intend to spend some time this summer. We have been to Frankenmuth quite a few times, and we always enjoy our visits. As small as the town is (you can walk everywhere if you choose to), we still have not seen everything there is to see. I'm thinking this summer we might stop at the zoo right on the way into Frankenmuth, and see what that is all about. 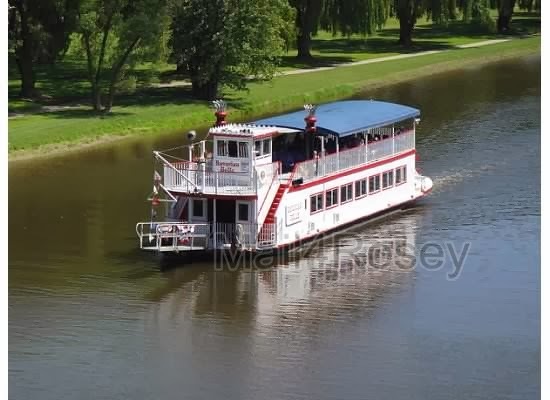 Of course we'll be doing that on our way to a hotel that sits along the Cass River...because summer's are made for living and lounging (at least on the weekends), and one of the best places to do that, is in Frankenmuth, Michigan. I have only been to Frankenmuth once, but I loved it. We are talking about taking a 4 day weekend this summer so we can visit again. After reading your other post, I really would love to stay at the Bavarian Inn. My kids are pushing for Zehnder's hotel with the waterpark though. I haven't stayed at Zehnder's, but I've eaten there. If you stay, swing back over, would ya? I'd love to hear about it. What a fun place this would be. Not in the winter for me, but the summer it would be great fun. 1) I love these old-timey towns. There are a few in OH and PA that I have visited. 2) I don't get how a store that sells only Christmas stuff makes it all year round. Who wants to buy Christmas stuff February-October??? It's not that I am anti-Christmas in any way. I love it. My favorite holiday. I just don't want to have to go through all of the Christmas boxes in order to add a newly bought item to the rest. BUT, if I don't, chances are it will get lost. And so that is why I don't buy anything Christmas after the Christmas decorations are put away or before they are brought out again. Happy weekend to you too, Carol! Homemade soft taffy is a fave! Looks like such a pretty area. I've never been to Michigan. My company has an office in the upper U.P. We were going to have a company meeting there last fall, but we canceled it when so many employees complained about the drive. NOOOO!! I have heard the UP is so so so beautiful, I bet they'd have ended up loving it! I am pretty sure my parents have been to Frankenmuth. It looks so similar to some of our places around Amish country here. Like the cheese shops and things....probably because of the Pennsylvania Dutch influences. I would love to see all of the ornaments. I am a sucker for Christmas decorations! We stop there every single time we go. I just love that place! I still dream of that cheese with bacon and chocolate. man that cheese store is awesome. Bronner's that's the name of the place. ha ha I'm getting old having trouble remembering the names of places I've been too. did you go to the church steeple and sign your name in their visitors book ? I want to go back there's a shirt I wanted that said will sell husband for chocolate lol I think all my photos are on my friends computer from our trip it was a girls day that we went it was a lot of fun .we went in the dead of winter last year. I was admiring your pins from there today lol. It really is a charming city! Looks like a great place to visit. I would like to try that cheese. This sounds like a great place to visit, I've never been to Michigan. What a place! Thank you for the tour - I loved the ice sculptures and the covered bridge particularly. No covered bridges over here. And they have a lot of charm. That looks like such a wonderful place to visit! I am loving that covered bridge; just beautiful, summer and winter! I love the covered bridge, I have always had a fascination with old bridges and barns. I would love to visit the cheese shop, my kids would love the mouse/cheese statue. I have always wanted to visit some covered bridges. They are so neat! I think that's the only one I've seen. I do love it though! Cheese Haus! OMG I want to go to there! I love cheese. 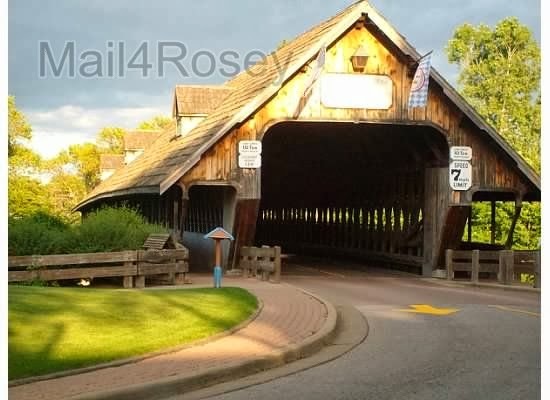 Frankenmuth is a beautiful town, the covered bridge is so romantic. That bridge is beautiful! And LOOOOOVE the candy section. YUM! That's where I'd waste all my money. It is a nice visiting spot. :) Thanks for your visit, Laurie. What a nice quaint town. Seems like a lot to do there. I would shop! My MIL loves to go for the shopping, esp. at the outlet mall just outside of the city. Wow, what a unique place. I'd love to get some good ornaments. I'm going to look and see how far this is from us! Oh I want to visit Frankenmuth! It looks like such a really cute town! What a beautiful town to visit! A wonderful diverse village. Feels awkward to say city, because it has the elements of an old village. This really does look like a wonderful family place to visit. I love your photos. I love Frankenmuth! I too stayed at the Inn. I collect unique hand painted ornaments - years ago on my 1st trip to Frankenmuth I got started on my collection. I live in Wisconsin - but my Mom and brother live in Monroe County south of Detroit. Looks like such a fun and quaint place to visit! I love your photos and it makes me want to visit! Looks awesome. I love the feel of old towns like this that have managed to preserve all the buildings! And that bridge is beautiful. Indeed, such a wonderful place - I hope one day I can get to visit it too. Such an amazing place! I would love to visit. My favorite would be the specialty coffees and sweets. Thank you for sharing your beautiful pictures! This looks like some fun. The ice sculptures are amazing. Great pictures. Such a neat town to visit! What a charming place and I love the covered bridge! I love that too. Do you have two blogs??? I knew about My Family and Abruzzo... did I visit the other ever? I'm headed over to visit them both. You ain't a' kiddin'. ;) There's a couple here that we've found. Mackinac Island is the other and I love it there!!! It's a loooong drive for us though, so we don't go often. Oh, I don't think I'd ever be able to leave the Cheese Haus. Sounds like my kind of place! What a fun place to visit, the town is so cute... I'd love to just walk around! It seems to have such a historic and cozy town feel. Looks like you had a lot of fun! I'd love to visit when I can take some time away from work. 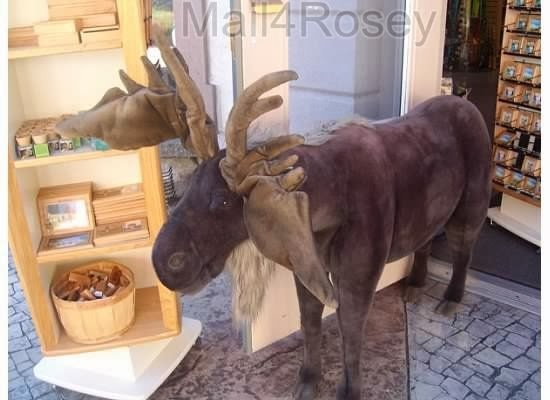 That moose is cute! ha . Love the sculptures those are really cool. What a place to enjoy. Tons to see, great pictures. Wow...tons of GREAT photos!! My favorite is the covered bridge. I absolutely LOVE those!! It really looks like an awesome place to visit. Michigan isn't that far away and we drive through there often. I'll have to schedule a visit to some of these places! What a great trip! My favorite is the covered bridge too. I just watched Bridges of Madison County the other day, and they are so romantic, huh. I've only watched that movie once but it was so good, and so so so hard to watch. I bawled like a baby with the car scene. I Wish I Was There So Quant & Cute Everything So Simple I Love The Mouse With The Cheese He's Adorable!! I Miss That Lifestyle!! These are such neat pictures! I love the ice sculptures, they're so pretty. The entire town looks so unique! The ice sculptures are beautiful!! Thanks for sharing so many great photos of your vacation! What a cool place to visit! 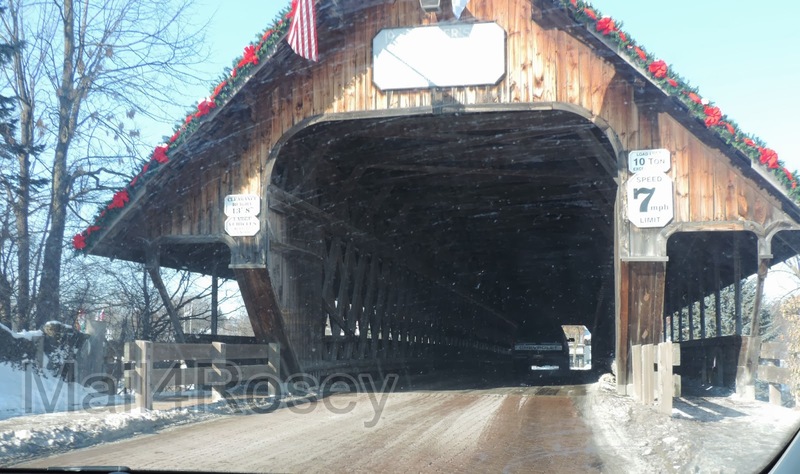 I love the covered bridges and you can't go wrong with a cheese shop! We typically require the ocean when we go on vacation but this place looks beautiful, especially in the summer. I'm happy with an ocean too!! Frankenmuth really is pretty in all seasons, but it's at its best, I think, in the summer! What a cute place to visit! That Christmas store looks amazing! I get an ornament for my kids each year, and a store like that would make it much easier. What an adorable place! I love the covered bridge, that must have been an awesome site to see! Fudge, cheese, and candy. It's hard to go wrong with those! This looks like such a fun town! I'd head to the cheese shop first - immediately followed by a visit to Bronner's! That looks like such neat place! I love when destinations allow children to learn about other cultures, architecture, food, etc. I wish we lived closer so we could take our boys. So awesome - totally a place that my family would love to visit. So much to see and learn. I love the old fashioned candy store! Those are such fun photos to look at. Thanks for sharing. I think my hubby would make the trip there simply for the cheeses! And did you say sausage?! =) Can't wait for spring to be here!! Sausage for hubby and cheese for both of us, every single time we go. :) I can't wait for Spring either! Oh, I like the covered bridge, it reminds me of a Joe Hill book I read last year. That town looks great! Wow, those are great photos! That town looks fun. I love places like these that preserve history. It looks so exciting to go to! Our family visits Frankenmuth atleast once a year. Always around Black Friday. We LOVE the history and tradition. I've never thought to visit around Black Friday. If that big outlet mall in Birch Run has those kind of sales going on it must be crowded, but awesome! Never been there but it looks like such a great town. So pretty, too. Thanks for sharing. go back to the candy store, we need more pictures of that candy!!!!! I do like the architecture of that town! You always share such fun, beautiful places. I would so love to experience a visit here. It would be romantic to go w/just your fiance, or awesome for the whole family! The "Cheese haus" is so cute! I love trying new cheeses (and wines!). That bridge is so awesome! I like old bridges like that, though admittedly I'm a bit afraid to drive on them. We've never been to Frankenmuth, but I want to now! It's nice, Virginia. :) Thanks for your visit! What a fun place to go! I love the different cultures! The Cheese House is quite interesting. My parents-in-law would love to see it. This place looks amazing. We're planning on traveling to this area to visit a friend soon, so I'll have to bookmark this. That covered bridge looks so familiar as if there was a movie done there that I've seen. What an adventure to be had at that place! I would love to visit in the Spring, Summer and Fall! Thanks for sharing these fun photos of this place. I've never been in the Fall, but I bet it is pretty then. I'd like to visit during that time too! That looks like an amazing place to visit! ohmygoodness, what a charming place! i love the candy store and the cheese haus...adorable! you visit the neatest places, rosey!! I didn't see the bridge the first time so its good to be back. What a great place to visit. Frankenmuth looks like a wonderful place to visit any time of year. Can't say that about many areas!!!! I'd love to go in the fall! I live in Michigan and we visit Frankenmuth every single year with family, there is so much to see there and shopping is so much fun. Great place to tour. Frankenmuth is such a neat place to visit! My girls love it and go often with their friends, we live about an hour from there.